- 420 Bar closed loop independent hydrostatic (automotive) transmission on front axle, with variable displacement pump and motor. - Maximum speed up to 26 km/h. - Theoretical gross tractive effort at the wheel 4100 kg. 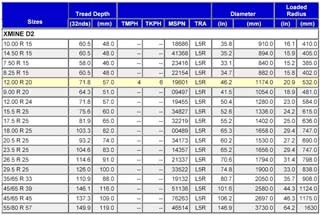 - Maximum traveling slope on rails: 34.5%. - Service brake and parking brake integralwith the rear axle. - Modular railway-type wheels made from forged steel, diameter: 500 mm. - Mechanical and electric safety stop for revolving turret, to prevent rotation on the train traveling side. - Manual emergency pump to operate the booms and turret, to use in the event of a failure to fold the machine back into the railway template within the preset time. - Load sensors on the wheels to indicate the the overturning equilibrium limit has been reached during the loader operation phase. 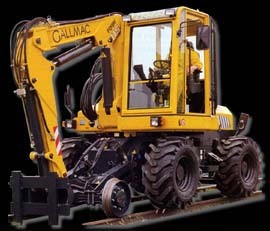 The usual system to drive the machine on rails is the buggy wheel system. However it decreases the lifting capability of the machines since it forces the axles gauge to the rails gap. Also, sooner or later, some rubber tents to cover the buggy wheels causing causing electrical insulation of the machine on top of the rails. In order to warrant a mininum gap of 130 mm between the rail flat and the bottom part of the lower, the rail wheels have a minimum pitch diameter of 500 mm. They are manufactured according to European standards (see drawing 1/c) and can be modified on demand. 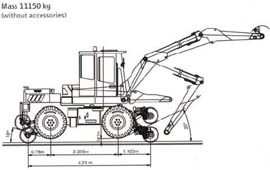 In order to get the minimum wear when skippong obstacle on rails, to warrant safe motion on roads and operate efficiantly off roads, the machine is provided with Michelin 12.00 R20 X MINE D2 type tires (see drawing 1/d). 1) On standard condition, the tires are mounted on inner position and the distance between the tires is 1,414 mm and the outer 2,074 mm. This allows the machine to operate with 4 motive tires on rails while it keeps loading on the rails (narrow gauge configuration). 2) Just turning the tires mounting flanges, the tires become larger than the rails and allows the machine the most stability features during lifting operations while it keeps loading on the rails. The inner distance between the tires becomes 1,790 mm and the outer 2,450 mm (wide gauge configuration). (see drawing 1/d_1). 3) The steering system can be locked, just turning on a switch placed in the cab. 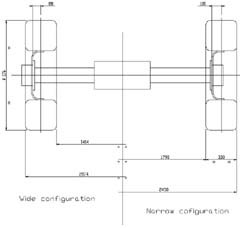 Drawing 1/c - In order to warrant a minimum gap of 130 mm between the rail flat and the bottom part of the lower, the rail wheels have a minimum pitch diameter of 500 mm. Drawing 1/d - Michelin 12.00 R20 X MINE D2 type tires. The ultra-deep L5 rock tread with massive buttressed shoulders and sidewalls provide reisistance to damage in severe operating conditions. The combination of multiple steel belts, cut-resistant rubber compounds and a heavy-duty casing means fewer flats. 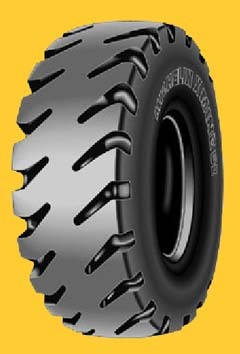 The Michelin radial design helps protect valuable machine components while giving operators a smooth, comfortable ride. It eliminates the need for expensive foam/poly fill or chains. 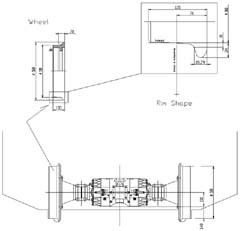 Drawing 1/d_1 - On standard condition, the inner distance between the tires is 1,414 mm and the outer is 2,074 mm; this allows the machine to operate 4 motive tires on rails while it keeps loading on the rails (narrow gauge configuration). Just turning the tires mounting flanges, the tires become larger than the rails and allows the machine the most stability features during lifting operations while it keeps loading on the rails; the inner distance between the tires becomes 1,790 mm and the outer is 2,450 mm (wide gaufe configuration).